First captive-bred Craugastor evanesco photo by R. Ibanez. 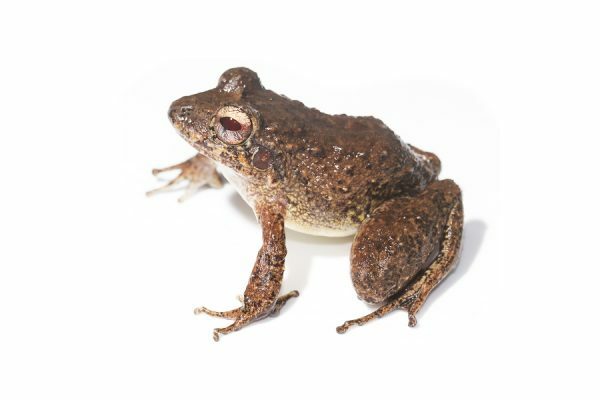 When researchers discovered Craugastor evanesco in the rainforests of Panama, they called it the vanishing robber frog to signify just how quickly the deadly infectious amphibian disease chytridiomycosis had devastated its population. By the time the researchers had published about the new species in 2010, the vanishing robber frog had already disappeared from the park where they had discovered it. Now, however, the vanishing robber frog may have a fighting chance at a future thanks to the Panama Amphibian Rescue and Conservation Project, which in December became the first program to breed the species in human care. After multiple attempts at breeding the species since 2015, a single pair has now produced one offspring—a success that has encouraged a cautious optimism that the rescue project can replicate the effort. The rescue project, a world-class amphibian center run by SCBI and the Smithsonian Tropical Research Institute, currently has a founding population of 20 males and 20 females of the vanishing robber frog. Conservationists collected the frogs from a lowland site in central Panama where the rescue project is working with the support of Minera Panama S.A. to conserve amphibians in the area. But bringing a new and critically endangered species into human care requires learning its own unique husbandry and reproductive needs before it blinks out of existence—sometimes resulting in insurmountable challenges. The Craugastor group of frogs has a unique reproductive system called direct development—they bury eggs in wet sand and fully formed miniature adults hatch from the eggs. 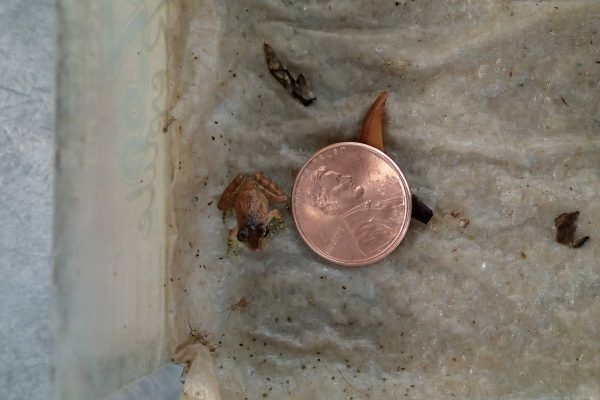 Understanding the frogs’ reproductive cues, special dietary needs and how to emulate the natural environment is essential to successful breeding, Ross says. Although scientists are still occasionally finding individual vanishing robber frogs in the field, they have not found a viable, self-sustaining population. Chytridiomycosis has been linked to dramatic population declines of amphibian species worldwide. This particular group of frogs in the Craugastor rugulosus series are particularly susceptible to chytridiomycosis with three closely related species in Panama having disappeared, putting extra pressure on ensuring the survival of Craugastor evanesco. 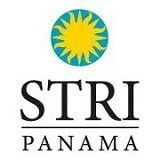 The Panama Amphibian Rescue and Conservation Project is a partnership between the Houston Zoo, Cheyenne Mountain Zoo, Zoo New England, SCBI and STRI.